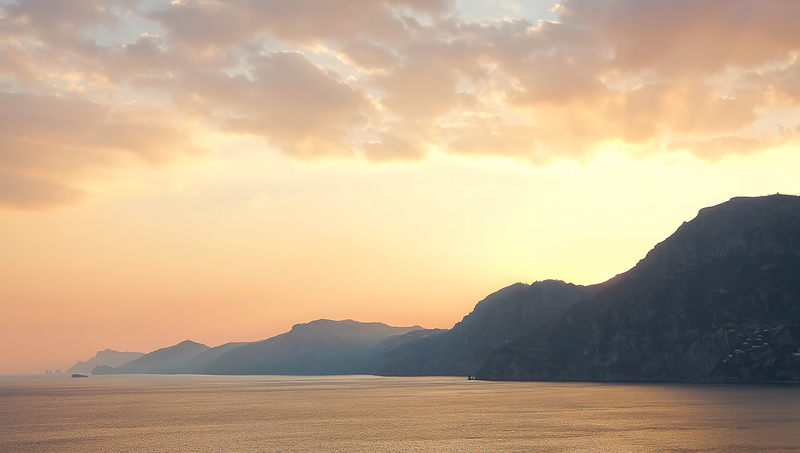 The Amalfi Coast is one of Italy’s most seductive destinations, a sun-kissed stretch of sea and sky. Long balmy days and a rich Mediterranean lifestyle set the stage for a taste of la dolce vita – but it’s when the sun starts to set that the sheer coastline steps into the limelight. 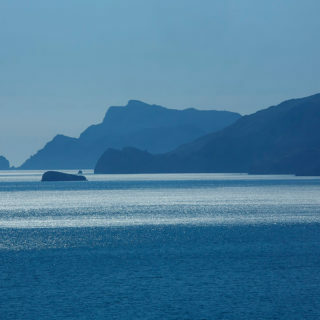 Often overshadowed by the better-known towns of Positano and Amalfi, the under-the-radar town of Praiano hides a secret up its sleeve: the most romantic sunsets along the southern edge of Italy’s Sorrentine Peninsula. 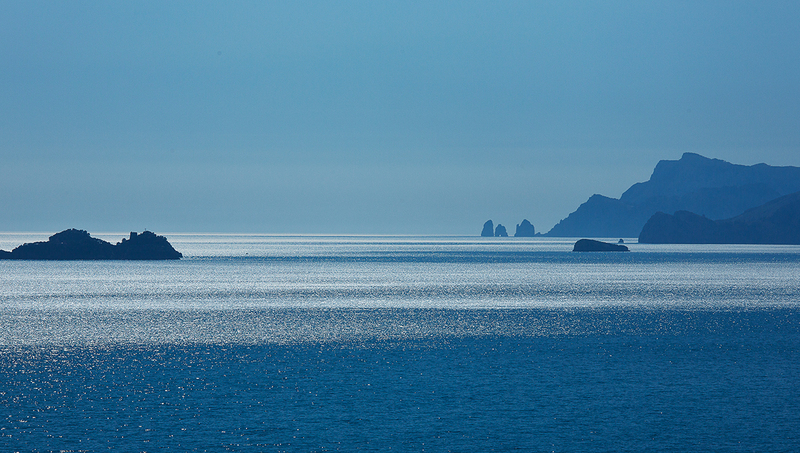 With its west-facing beaches and dizzying coastline, the sleepy fishing village pips its neighbours to the post in staggering views: panoramas extending from the bay of Positano and the wild, untamed islets of Li Galli to Punta Campanella and the island of Capri. What better backdrop for marvelling at the Italian sun paint the sky in reds and oranges, while casting silhouettes over the mountains and distant islands. Beyond the sea-facing terrace of Casa Angelina, this unsullied pocket of southwest Italy is dotted with a clutch of spots that are perfect for soaking up the soul-stirring sunsets…. From dawn ’til dusk, Cala della Gavitella basks in the warm glow of the sun – the only one on the Amalfi Coast to catch the last rays of the day. Spend all day flaked out on the powdery sands with a good book, hopping up only for a refreshing drink or to wander down to Fontana dell’Altare, a natural swimming pool carved into a craggy rock grotto. Later, stake a claim at one of the shorefront restaurants facing Positano for plates of fresh seafood washed down with glasses of Aperol spritz – served with dramatic vistas of the sun slipping beneath the bay, wrapping the island of Capri in a velvety embrace. Believe us, the sunsets make the steep steps worthwhile. From down low to up high, Praiano’s main square of Piazza San Gennaro, named after the Baroque church that sits pretty here, is perched on a promontory 300 feet above the sun-soaked Cala della Gavitella – all the views, none of the exertion. 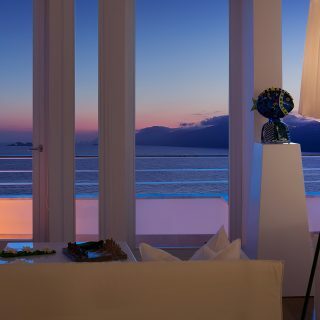 From here, soak up sweeping views of the Amalfi Coast, trailing off to Capri and the beautiful Cilento region. Where better to watch the hazy mountains and distant islands blur the horizon, as the sun goes out in a fiery blaze of glory. Weaving its way along precipitous ridges from Agerola to Positano, the Path of the Gods flaunts the wild, untamed beauty of the coastline and staggering views of the Gulf of Salerno at every twist and turn. 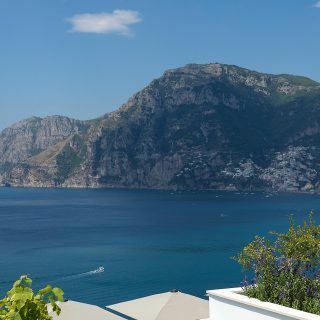 En route, you’ll pass terraced hillsides, sheer vineyards and sprawling lemon plantations, eyeing up the craggy Lattari Mountains that plunge to the cobalt-blue Mediterranean below and tantalising glimpses of Capri beyond – the perfect canvas for staggering sunsets.